This site uses Google Analytics which is one of the most widespread and trusted analytics solution on the web for helping us to understand how you use the site and ways that we can improve your experience. These cookies track things such as how long you spend on the site and the pages that you visit so we can continue to produce engaging content. Windows desktop computer accounting software so you have control over your own data and are not reliant on having to always be connected to the internet. 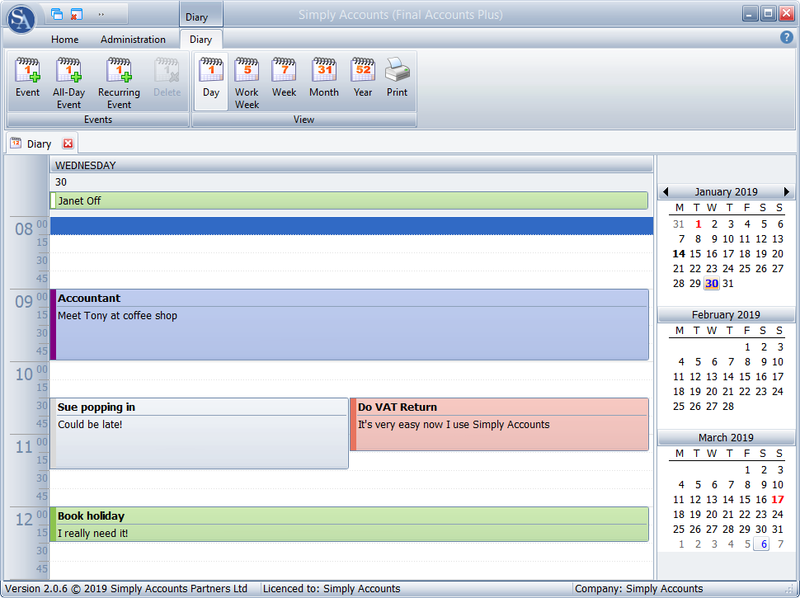 Simply Accounts provides all the accounting tools you need in a comprehensive, straightforward and easy to use way. 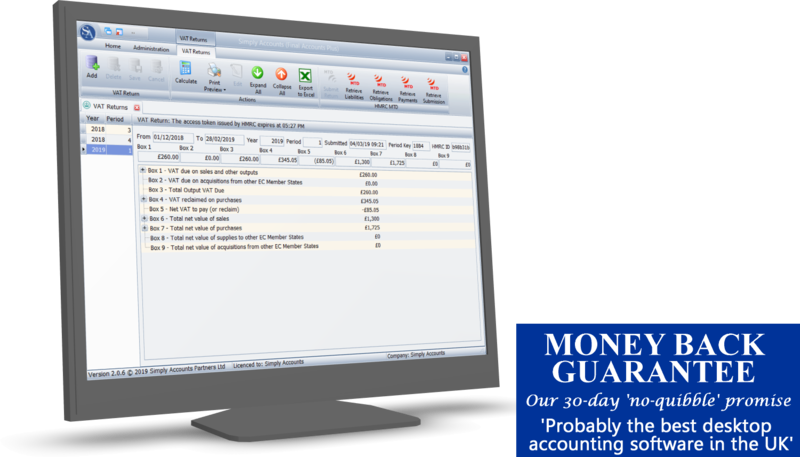 Professional accounting software that is easy to use and at a reasonable price. We have 2 solutions available, both MTD ready. 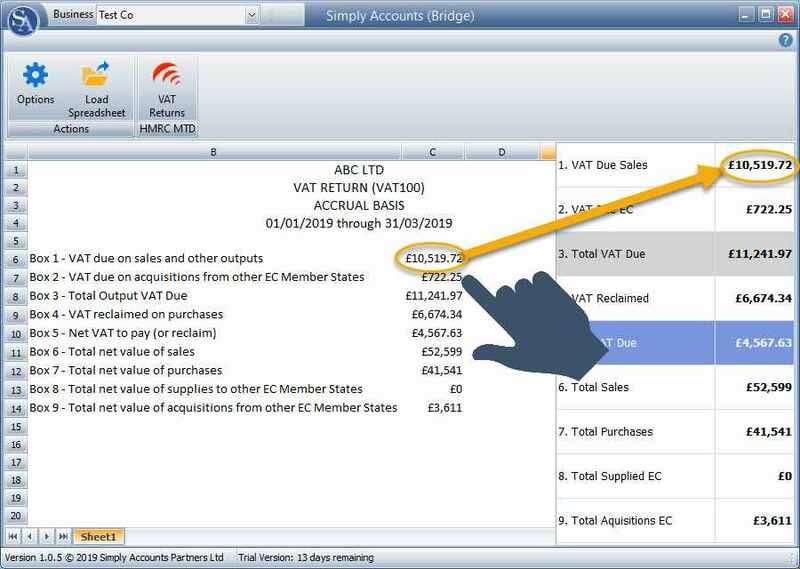 A bridging application for submitting VAT submissions from your own spreadsheets and our full blown accounting software. Simply Accounts has had a fully integrated VAT link to HMRC for filing VAT returns for over 6 years. To become MTD compliant it has just been necessary to change some of the coding for the new protocols for HMRC. This has also given rise to the creation of a separate application for bridging software to help businesses that want to continue using spreadsheets and be MTD compliant. Not ready to give up your spreadsheets? Our bridging software can work with your existing way of doing things. Any number of businesses can be added and easily selected (subject to licence purchased). Whatever your VAT scheme, our solution is all you need to be MTD compliant with a direct upload to HMRC. Listed on the HMRC site as software that has been tested. If you want to sign up for the MTD pilot you can do so here. Simply drag the respective cells from your spreadsheet into the nine VAT boxes. Submit your return directly to HMRC by clicking one button! Enables very quick and simple importing of full details from any online bank or credit card account including PayPal. Once these transactions are in the Cash Book the method of reconciliation is uncomplicated and straightforward. Includes a ‘bulk posting’ facility that will save hours and a ‘memory’ function for similar items. 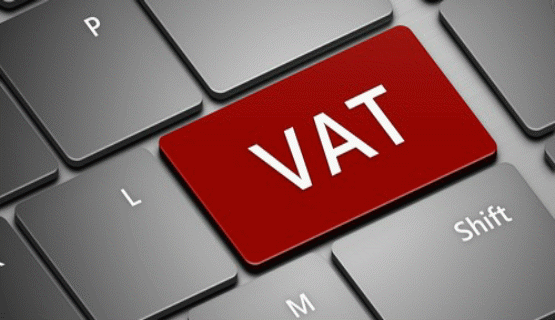 Full UK and EC VAT compliance including cash accounting and flat rate schemes. MTD compliant. Listed on the HMRC site as software that has been tested. 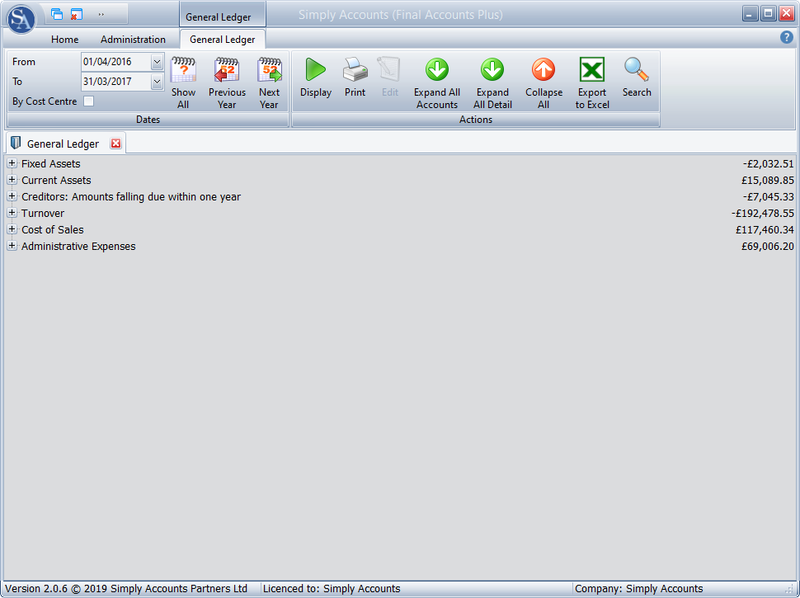 Simply Accounts has the same look and feel as Microsoft™ Word so you will already be familiar with how it works. The diary screen is always active but not visible until it is opened. When it is closed it is just hidden. The reason for this is that it needs to be active in order to display reminders for events entered in much the same way as the diary in Microsoft Outlook. Certain Diary entries can be made automatically by Simply Accounts such as VAT, Invoice and Bill reminders. These will appear in the All Day Events (top) section of the Diary. Events can be added and deleted by means of the buttons in the Events group of the toolbar. 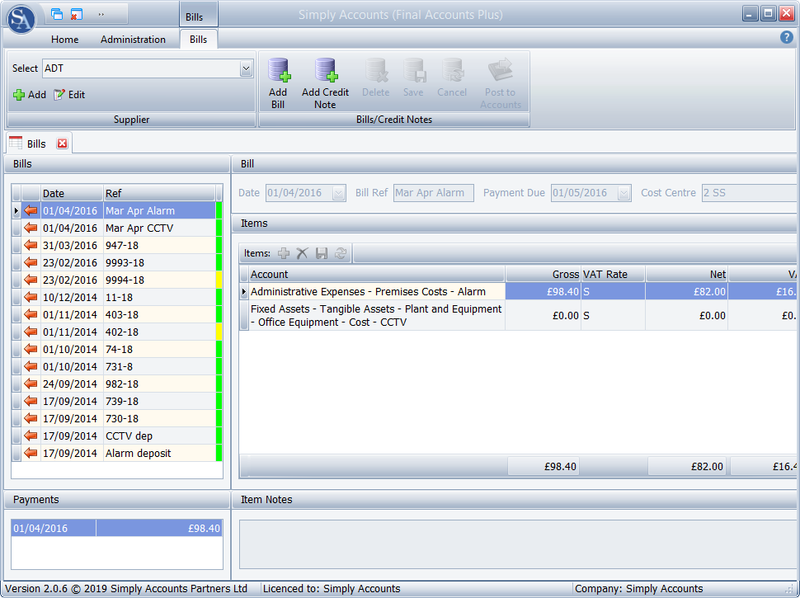 Simply Accounts Pro allows you to enter bills against Suppliers. A Supplier Account will need to be selected in the drop down list of the Supplier group on the toolbar before a Bill can be created. Initially there will be no supplier accounts. To add one, click on the + button in the same group. The colour block to the right indicates the status of the Invoice. Red indicates that it is unpaid, yellow indicates that it is part-paid, and green indicates that it is paid. 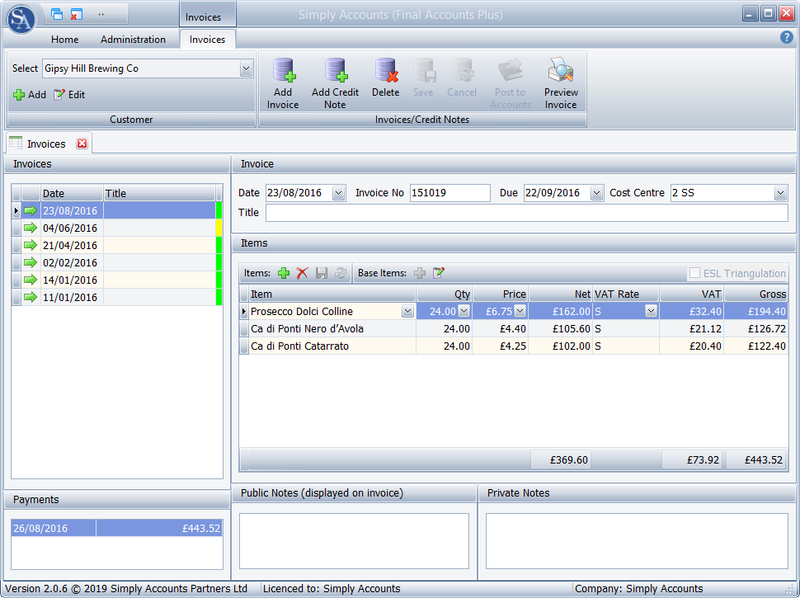 Simply Accounts Pro allows you to produce and record invoices for Customers. This also allows for the recording of EC Sales together with the relevant VAT calculations and producing EC Sales List and accounting for EC Triangulation. A Customer Account will need to be selected in the drop down list of the Customer group on the toolbar before an Invoice can be created. Initially there will be no customer accounts. To add one, click on the + button in the same group. 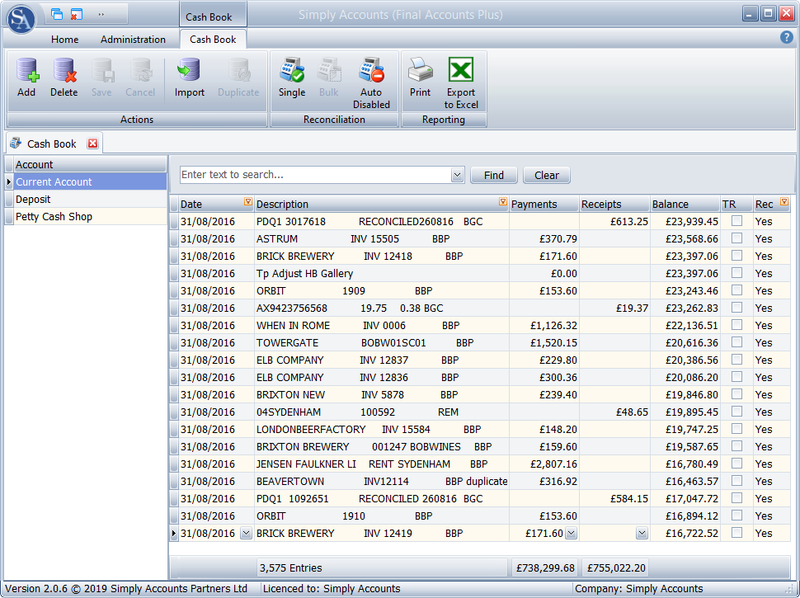 Simply Accounts Pro allows you to produce and record Invoices and then in the Customer Accounts screen analyse them individually or in bulk. By default just Payments Due are shown. The View can be switched by clicking on one of the three buttons in the View group. Totals are shown at the bottom of the screen. This screen can be grouped by one or more columns. Simply Accounts is recognised by HMRC for the electronic submission of both VAT (XML) and VAT (MTD) Returns. In order to be able to check your return, as with other financial reports the levels, in this case boxes, can be individually expanded by clicking on the + button against the box you wish to expand and, once expanded, can be collapsed by clicking on the - against the expanded box. When using the MTD version obligations, liabilities and payments can be retrieved. 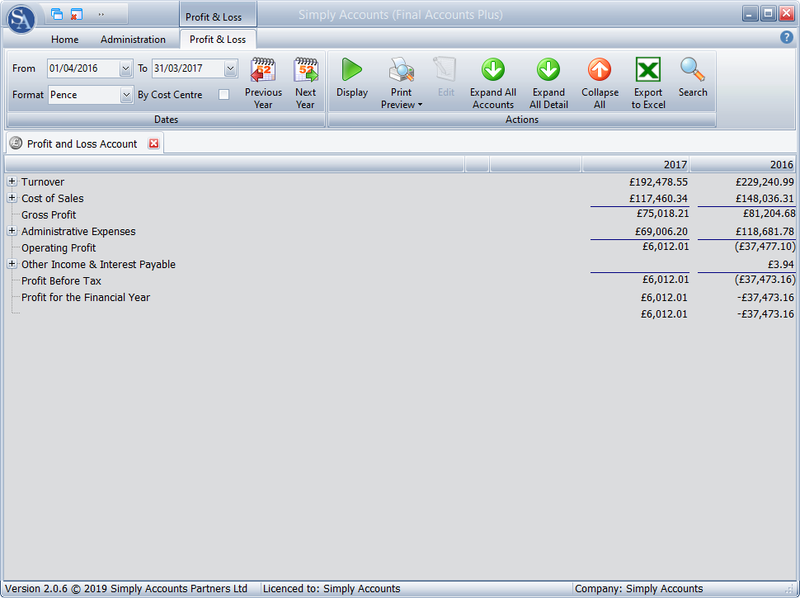 By default the Balance Sheet screen will be displayed for the current financial year. Levels can be individually expanded by clicking on the + button against the account you wish to expand and, once expanded, can be collapsed by clicking on the - against the expanded account. The edits and buttons in the Dates group of the toolbar control the content of the data shown. By default the Profit & Loss screen will be displayed for the current financial year. 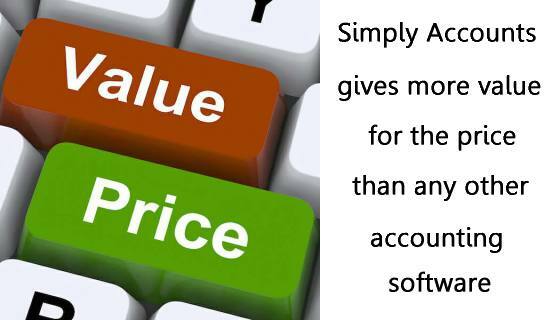 Cost centres are only available in Simply Accounts Pro and above. When the By Cost Centre check box is ticked in the Dates group of the main toolbar the display will be shown by cost centre. By default the General Ledger will be displayed for the current financial year. The General Ledger should always net to zero. If it does not a warning message is displayed and the net amount will be displayed. The Cash Book screen lists all transactions for all bank accounts defined. 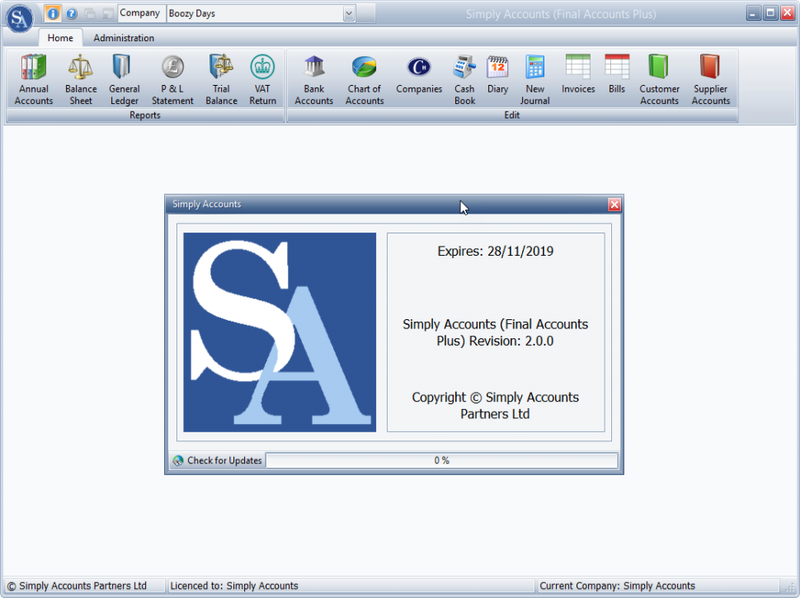 Simply Accounts automatically adds a current account for each company added to the system. Whilst transactions can be added manually, it is highly recommended that transactions are imported via a download from your online banking and/or credit card company. All transactions must be reconciled. The Annual Accounts screen will be initially be displayed blank if no accounts have been previously generated. If they have been the last accounts generated will be displayed. Company information, share capital, declarations and notes to accounts can be defined for each year. Once defined the accounts can be generated by one click. It could not be simpler - drag and drop the relevant cells from your spreadsheet into the nine boxes of the application and click a couple of buttons! The application automatically displays all MTD VAT returns submitted, and those still open, as well as allowing you to display your account balance and retrieve full details of previously submitted returns. Prices start at only £30 per annum for a single business. Also, if the full Simply Accounts accounting application is purchased during the year, we will send you a refund of £30 afterwards. Complete the following information and we'll send you a download link automaticallly. Please don't forget to check your junk mail! You have been sent the link! Your data will not be used for reasons other than by Simply Accounts Partners Ltd. Specifically, the email address given will only be used to send you a link so that you can then download the trial version. If you opt in to receiving emails, you agree to us sending you infrequent company announcements, product updates, etc. We will not share or sell your data to 3rd parties. Changes made to retrieving MTD access codes so that installation on more than one PC (separate licence required) can access MTD for the same VAT registered company. The HMRC MTD service is having intermittent problems. We have added better error messages to deal with this. 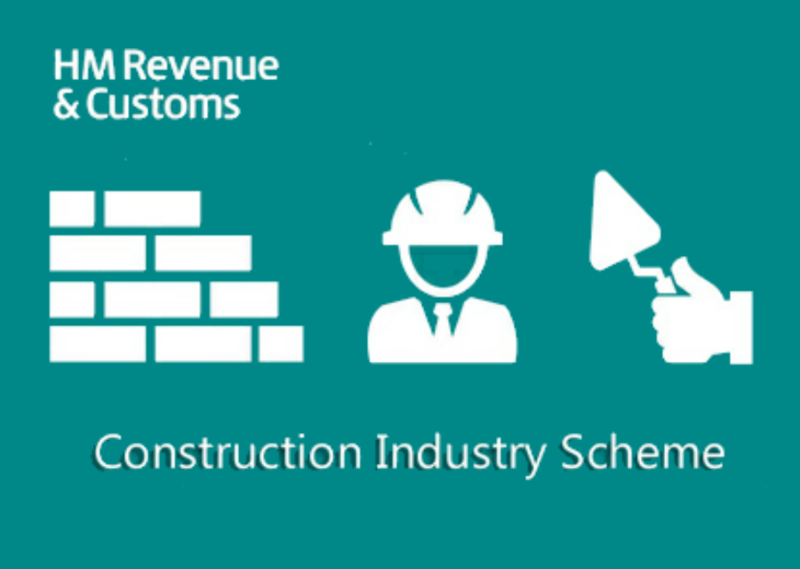 Added support for the Construction Industry Scheme (CIS). Changes made to retrieving MTD access codes so that installation on more than one PC (separate licence required) can access MTD for the same business. We will continue to enhance Simply Accounts accounting software and provide automatic updates whilst your subscription remains up-to-date. 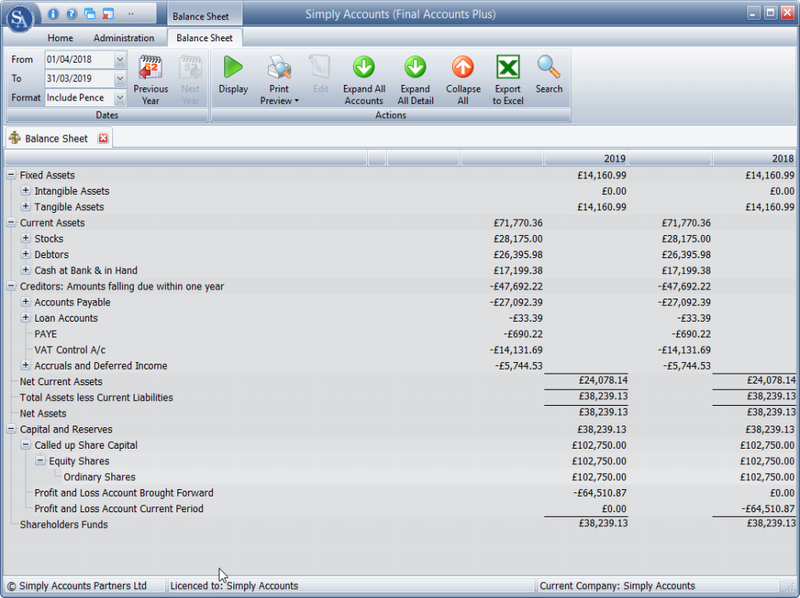 The way Simply Accounts accounting software has been designed is that most functions are easy to understand and there is a comprehensive tutorial and help file. 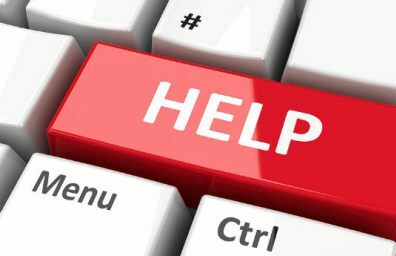 We are on hand to help with any technical problems you may have and will ensure a remedy is found as quickly as possible. Should you have any questions or suggestions please e-mail technical support with full details. If you do have a problem you will immediately receive an auto-response which will confirm that we have received your question. Our reply to your question will be sent via email to the email address that was included in your registration details. Please note our hours of business are Monday to Friday 8.30 am to 5.30 pm. Please complete both name and email fields! Thank you for your purchase. An email has been sent to you with the licence information. Please don't forget to check your junk mail! Intel Core i3 processor (or equivalent). At least 50 gb free space. All current 32 or 64 bit versions of Windows. Performance will be improved with a higher specification PC. Windows 10 64 bit operating system recommended. “I have been using Simply Accounts for nearly 6 years and I would not want to be without it. On the few occasions when I have needed support this has been very prompt and helpful.” . For those businesses involved in the Construction Industry a separate Chart of Accounts may be selected. There is a facility to produce Invoices and enter Bills that have CIS deductions. 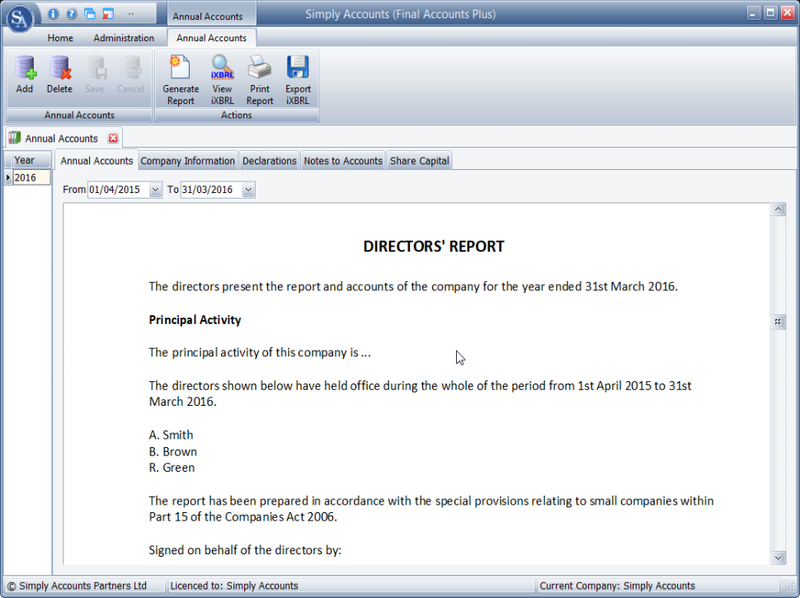 Simply Accounts does not provide filing software. These accounts have been set up to assist any new user of Simply Accounts, you can edit and change them and add new accounts as and when needed. We recommend using Bills/Suppliers for purchases although it is possible to analyse sub-contractor payments through the Cash Book. However, it will be necessary to use Invoices/Suppliers for creating CIS Sales Invoices. Our new Windows MTD bridging application is now available for those businesses that want to keep using their existing spreadsheets and still be MTD compliant. 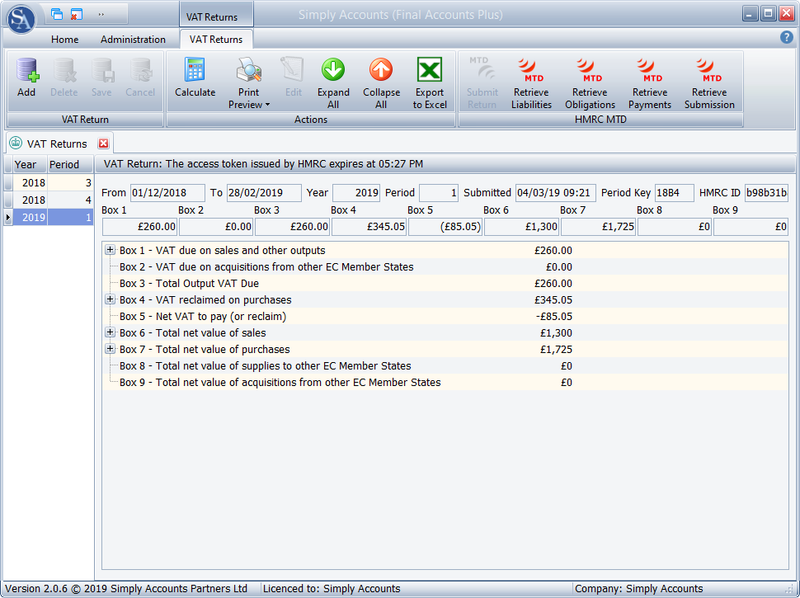 Simply Accounts is now MTD ready and is listed on the HMRC website as MTD software for VAT that is available now. This involved coordinated testing between Simply Accounts and the HMRC MDT Team and, only after that can software be added to their site as being available. As well as submitting your VAT return you can also retrieve VAT liabilities, payments and view previously submitted returns. Simply Accounts has no financial involvement with these sites. We will add any appropriate general accounting links to this page when we find content that may be of interest to our users. We will obviously not add competitive accounts software links here but, if you have any suggestions, then we will consider adding them here. As mentioned above, Simply Accounts has no financial involvement with the accounting web sites listed whatsoever, and the links are provided for informative purposes only. When the founders launched Simply Accounts six years ago in 2012 many other developers were moving over to the ‘Cloud’. Although there can be advantages to a remote server solution to the accounting needs of some companies, we feel the 'desktop' environment provides the flexibility of working anywhere and not reliant on an internet connection. The only time you need a connection to the internet is to submit VAT or MTD Returns and to receive software updates from Simply Accounts and import banking data. You remain in control of your data and not subject to third party issues with either access to or maintenance on a remote server controlled by others. 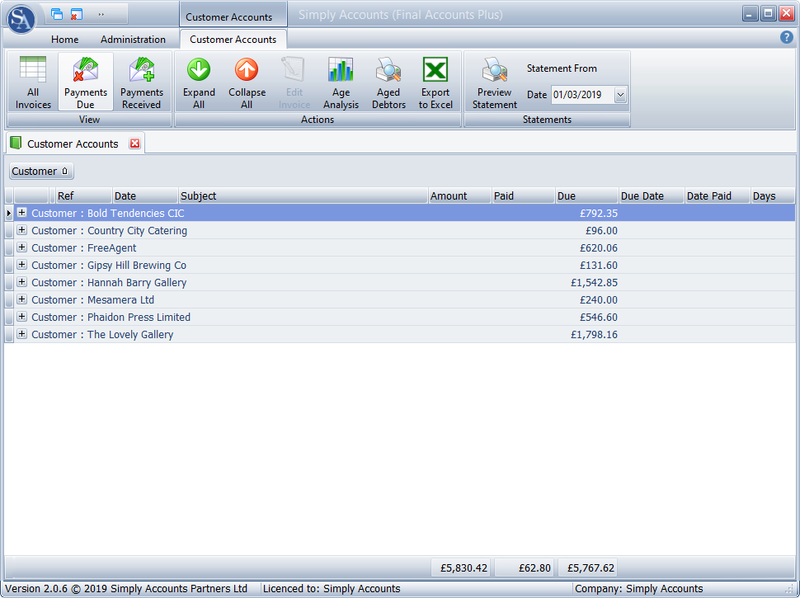 Simply Accounts is a mature product enjoyed by many and suitable for most at an affordable price. We would be delighted to receive any suggestions for improving our accounting software in any way, and would also be interested in any joint marketing suggestions. © Simply Accounts Partnership Ltd.